The staff at Cooper Creek Builders are excited to assist you in building your dream house. Copper Creek Builders, LLC is a land development and construction company, owned and operated by Chris and Silas Colman, a father-son team who have been in business together since 2002. They begin each project with raw land in order to design a perfect fit between the homes, streets and community features. Chris is a co-owner of Copper Creek Builders, LLC. and manages all construction projects to ensure each one is built to the design and quality standards of the company. Chris got his start in the construction industry in 1972 as a framer and union paid heavy equipment operator. 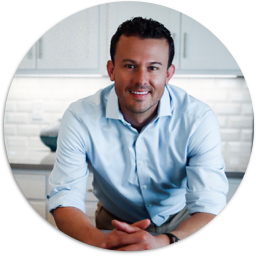 He is a licensed general contractor and has personally managed projects ranging from home remodels to commercial new construction. 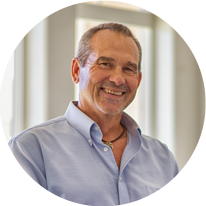 In addition to his real estate experience, he also has 25 years of experience in public speaking, management and marketing. He graduated from Intermountain Bible College with a Bachelors degree in Ministry and was the pastor of Northeast Christian Church for 23 years before he retired and made the switch to real estate. Chris is outdoor enthusiast who has hiked, climbed and cycled through many countries around the world. He is an avid runner and enjoys competing in trail races. Being apart of Copper Creek brings me daily joy and satisfaction because I get to work with an amazing group of talented team members. I'm proud to be apart of a team who takes pride in building a very comfortable, livable, and beautiful home that will last for generations as it brings years of joy to those who will live there. Silas is a co-owner of Copper Creek Builders, LLC. He has been actively involved in many areas of real estate since 2002, including land acquisition and development, construction, property management and marketing. He has personally managed the purchase and sale or leasing of over 300 different properties. He was born and raised in Grand Junction and graduated from Western State College with a Bachelors Degree in Business Administration. Silas also serves as a volunteer director for the Alkare Foundation, an organization that supports various orphanages around the world. It's been a joy to see our neighborhoods filling up with happy customers over the past few years. I feel fortunate that we can provide housing and at the same time bring people together to create community. Naomi serves as the Sales Coordinator at Copper Creek Builders. 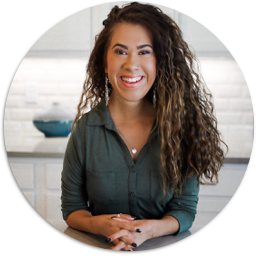 Naomi graduated from Colorado Mesa University with a Bachelor’s degree in Business Administration with a double concentration in Marketing and Management. Naomi is an outdoor enthusiast who enjoys photographing breath-taking views across the world. Naomi also enjoys spending time with family and friends enjoying recreational activities in the mountains. During my time here at Copper Creek I have had the opportunity to meet and interact with countless community members, business professionals, and even those outside of Grand Junction who are looking to relocate. Everyday is a new and exciting adventure and I cant wait to see what the future holds here at Copper Creek Builders. Sunni joined the Copper Creek team in January 2017. 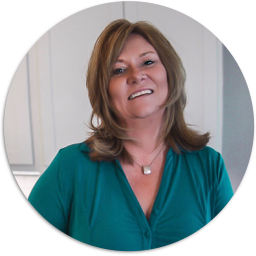 Sunni brings a wealth of experience from a career in finance, accounting, business systems and project management. She believes that true professionalism is born from the ability to work smarter, not harder - always being a few steps ahead of the game, and knowing where to look for issues before they arise. After spending over a decade as the Assistant Controller and Project Control Manager for a US based leading energy infrastructure design and construction contractor, the residential construction industry is second nature to her after spending over 8 years helping build new homes in the Grand Valley. She holds a Bachelor of Arts in Business Administration with emphasis in Finance and Economics. Sunni lives in Grand Junction with her husband and daughters. She enjoys outdoor activities and spends most of her free hours enjoying time with family and friends! When I first met the owners of Copper Creek Builders, I was surprised by their passion for what they do. It feels like nothing was impossible to achieve and I appreciate and love this positivity. We are very team-driven, and we operate in a way that puts collective goals ahead of individual glory. In the last two years we have grown exponentially, and we continue to succeed because we are a flexible team that can rise to any challenge we may face. Everyone here is smart, energetic, fun to work with, and we are always trying to help each other expand our horizons. We love what we do, and it shows in the strong relationships we have built with each other, the local municipalities and businesses and of course, our customers. Never have I been part of a business that truly strives to develop a stronger sense of community. Jessica has been with Copper Creek Builders since February 2018. 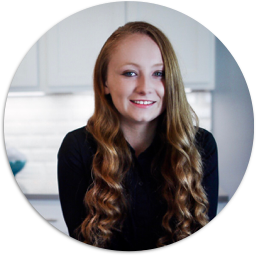 She is a valuable administrative asset to our team doing everything from blogging to paying the bills. She’s creative, efficient and organized. She is in her second year of study at Colorado Mesa University completing her prerequisites so she can apply to the CMU nursing program. Jessica is planning for a career in nursing with a minor psychology. Her passion is dance. She has trained in lyrical, contemporary, jazz, hip hop, ballet, pointe, tap, and modern styles for over eight years. Jessica loves animals and forensic science. I am very grateful to Copper Creek Builders for allowing me the opportunity to gain work experience. I could not have chosen a better place for my first job. Everyone is nice and always willing to help all the time. Moreover, they treat me as part of the team and support my ideas. My job here has forced me to step outside my comfort zones and grow. I have learned so many things from interacting with subcontractors, to local government entities, to Buyers. I love that I am not viewed as merely a teenager, but that my work is important to them. I work in a great atmosphere with fun and knowledgeable people to learn from. Beary is a Project Superintendent at Copper Creek Builders. Beary began in the construction industry at age 15 working for a landscape company in Colorado Springs. While earning a degree in Business from Western State College, Beary worked for a contractor as a framer and general laborer. 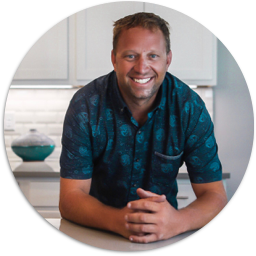 Upon graduation he moved with his wife to Grand Junction where he worked as an interior trim carpenter for 8 years before buying the company and continuing to manage it today. Beary enjoys all the outdoor opportunities that this area provides from hunting, fishing, hiking, and boating. Copper Creek has such a unique product in the Grand Valley. The exterior details and color on the homes is unlike any other community. I enjoy coming into the community every day to see the progress that our contractors have made in each home. I get the opportunity to work with an excellent team of the Grand Valleys best tradesmen every day. Will has been with Copper Creek for 2 years. Will works along side Beary to ensure quality control throughout each and every home. 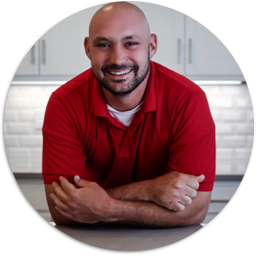 Will has been the construction industry for over 10 years and has worked in a variety of trades. As you spend time in our community you will see Will interacting with buyers during the final construction days of their home ensuring all final items have been addressed. Will loves spending quality time with his Children. He is also a sports enthusiast and you will often see him cheering for his home town team, the Houston Texans. Working at Copper Creek is the best job I have ever had! I enjoy working with people who all share a common goal and passion. Working with a team who all love what they do is great! One of my favorite parts of my job is seeing customers excited about moving into their brand new home!